Intuition and technology are not mutually exclusive, as technology drives humans away from their natural environments and behaviors. Then there are designers who know how to bring these two seemingly disparate concepts back together, even before we knew we needed them to commingle. Steve Jobs recognized that these two concepts in concert can bring joy and wonder to every home. He brought computers out of large, soulless rooms at colleges and major companies to your own desk, helping you calculate your taxes and play solitaire. Jobs, a biopic about the Apple co-founder, recounts the man’s directionless college days through his fights to make technological history. Although Jobs (Ashton Kutcher) dropped out of Reed College, he still attends classes and wanders about the campus. After a revelatory acid trip, he begins to take both design and electrical classes at the college, and soon finds himself butting heads with co-workers at Atari. His friend Steven “Woz” Wozniak (Josh Gad) helps Jobs fix a problem with an Atari game, but a hobby project sitting on Woz’s desk intrigues Jobs instantly. Woz had put the components that made up the computer in a smaller box which could sit on a common person’s desk. With Jobs’s ability to see endless potential, and his instinctive notion of business, he begins the seedlings of an empire. Jobs was a visionary, cutthroat business person, and a leader. But he also had a short fuse, a penchant for revenge, a hypocritical sense of Zen, and for a certain amount of time, was an absentee father. He wanted to develop a computer that had already thought of everything for the consumer, allowing the end-user to focus more on making things on the computer, rather than spending time to figuring out how to make things work on the computer. Jobs has a Neanderthal-like walk; a slight hunch where his head was ahead of the rest of body while his arms dangle to his sides. That hunch exemplifies his process: ahead of everything, even himself. Early in the film, he was barefoot everywhere he went, and there were discussions about his hygiene. But he was a clever businessperson, expressing cutthroat capitalism and self-absorbed perfectionism. All of these pros and cons created a self-destructive nature that allowed him to market killer machines, but such perfectionism kept them from reaching shelves before competitors could insert similar machines at a lower price. Thankfully, Jobs only briefly touches upon the battle between Apple and Microsoft–Pirates of Silicon Valley covers that aside–because such patent wars continue to exist with a broader pool of tech companies. What The Social Network did for Facebook, Jobs does for Apple Computers. These two companies had highly flawed visionaries who thought differently, and fought on their own terms to create massive cultural statements. They were also indicative of their cultural environments. Jobs walked around barefoot and enjoyed the freedom of the sixties and seventies, while Zuckerberg spilled his feelings onto blogs. They both had poor social skills, and even poorer sense of sharing authorship and profit sharing with employees who worked in the same sweaty garage or dormroom at the beginning. 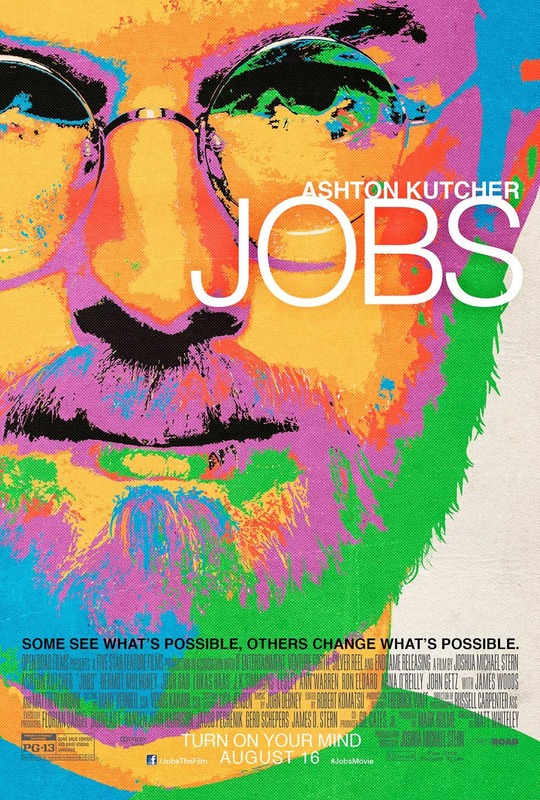 Jobs has a Kodachrome look to it to express the times and the earthly tendencies of Jobs’s eating habits and personality. Although it is a tenant in Jobs’s style of engineering, intuition is sacrificed in this film for a conventional soundtrack and visual presentation. It is a straight-forward narrative with few intricacies, and if Jobs had a say, the film would not deserve a keynote speech. 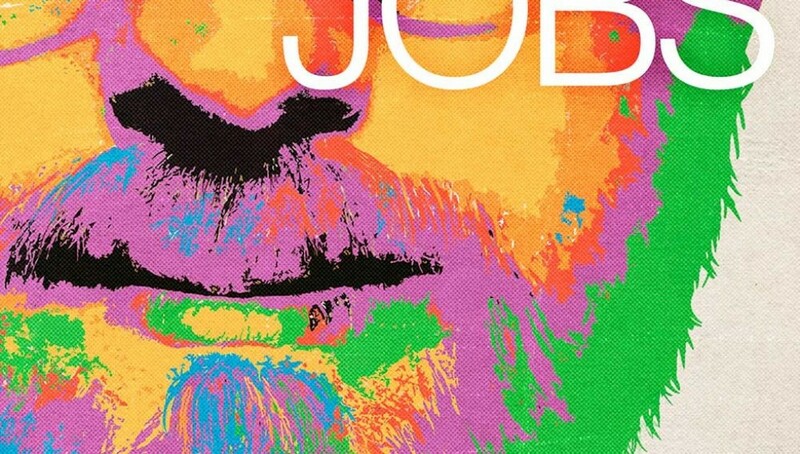 While no artistic statement, Jobs does present a floundering company and figurehead in a format that is accessible, while exemplifying a word on the verge of personal computing.